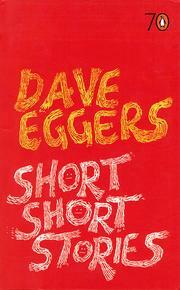 Short Short StoriesDave Eggers; Penguin 2005WorldCat•LibraryThing•Google Books•BookFinder Like the fur of a chinchilla. Like the cleanest tooth. 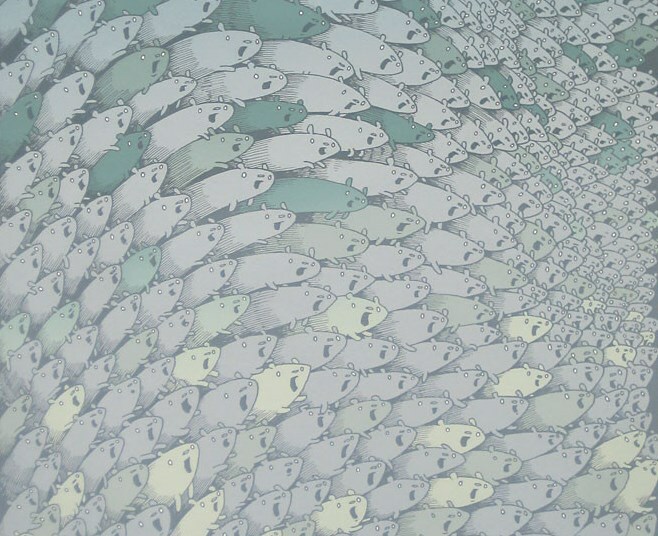 Yes, the fishes say, this is what it feels like. People always ask the fishes, ‘What does the water feel like to you?’ and the fishes are always happy to oblige. Like feathers are to other feathers, they say. Like powder touching ash. We smile and nod. When the fishes tell us these things, we begin to understand. We begin to think we know what the water feels like to the fishes. But it’s not always like fur and ash and the cleanest tooth. At night, they say, the water can be different. At night, when it’s very cold, it can be like the tongue of a cat. At night, when it’s very very cold, it’s like cracked glass. Or honey. Or forgiveness, they say, ha ha. When the fishes answer these questions – which they are happy to do – they also ask why. They are curious things, fish are, and thus they ask, ‘Why? Why do you want to know what the water feels like to the fishes?’ And we are never quite sure. The fishes press further. ‘Do you breathe air?’ they ask. The answer is yes. Well then, they say, ‘What does the air feel like to you?’ And we do not know. We think of air and we think of wind, but that’s another thing. Wind is air in action, air on the move, and the fishes know this. Well then, they ask again, ‘What does the air feel like?’ And we have to think about this. Air feels like air, we say, and the fishes laugh mirthlessly. ‘Think!’ they say. ‘Think,’ they say, now gentler. And we think and we guess that air feels like hair, thousands of hairs, swaying ever so slightly in breezes microscopic. The fishes laugh again. ‘Do better, think harder,’ they say, encouraging us. It feels like language, we say, and they are impressed. ‘Keep going,’ they say. It feels like blood, we say, and they say, ‘No, no, now you’re getting colder.’ The air is like being wanted, we say, and they nod approvingly. 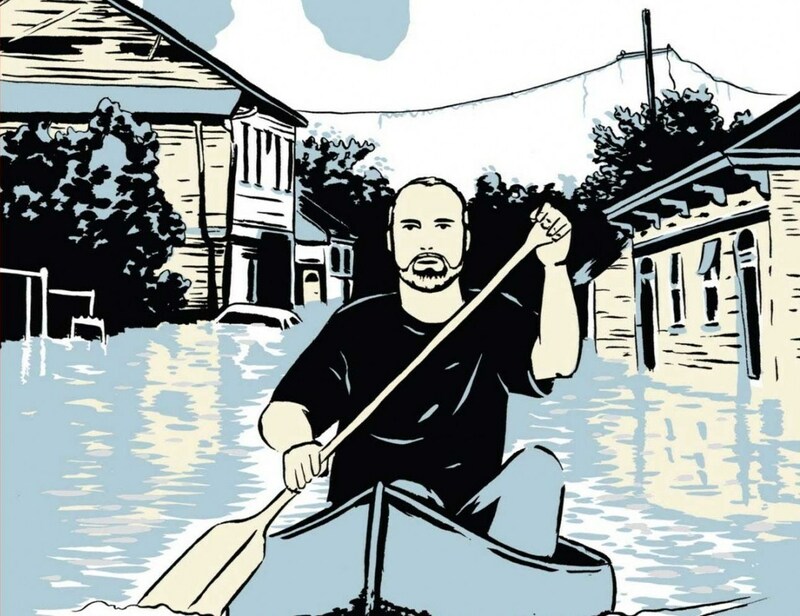 The air is like being pushed and pulled and yanked, punched and slapped and misunderstood and loved, we say, and the fishes sigh and touch our forearm sympathetically.